If you Lost you SSC ( 10th Class ) Hall ticket, don't worry download your SSC Hall ticket online, This article we are showing how to download SSC Hall ticket online. Some time we are missing valuable document, and searching solution online, Here Board of secondary Education of Andhra Pradesh ( BSEAP) has providing SSC Hall Tickets -2017 online, Students Who last their Original Hall ticket those Student can download 10th class Hall ticket online.follow the below instruction for download SSC Hall ticket online. 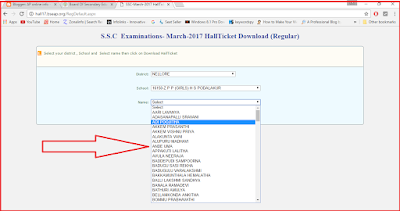 How to download SSC (10th class ) Hall ticket -2017 online ? 2. You'll find " S.S.C HALL TICKETS MARCH - 2017 " option on the lift side of home page. OSSC Private Hall ticket download. 5. Click on "Download HallTicket" Button. 6. Than click on "Print this Page" Button, for take printout copy of S,S.C Hall ticket. 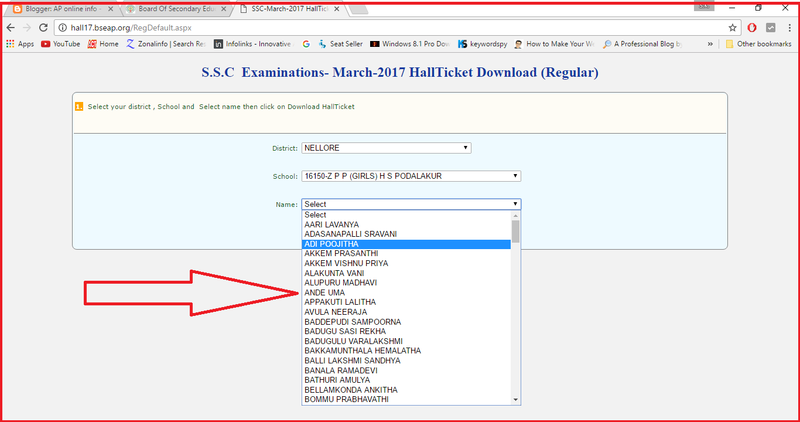 You'll also download directly SSC Hall ticket -2017 following link.